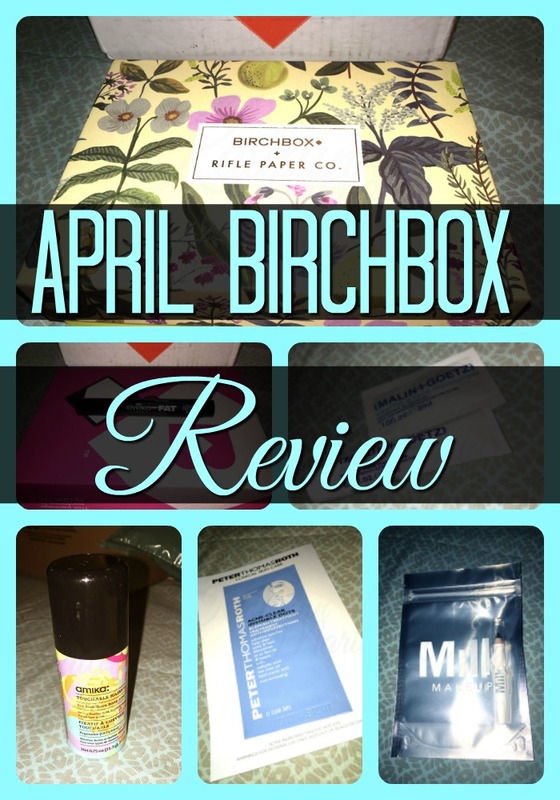 This is my first ever Birchbox* box, and I have to admit I'm impressed. When I signed up I got a free eyeliner which was pretty cool. It's weird opening it though, it's like the Russian Doll of boxes! It came in one box from the post office, then there was the pink box, then there was the actual (really pretty!) box. The first thing I saw, because it was on top of the box, not inside, was the eyeliner. Then when I opened it I saw the cards that come with it. Little blurb about Birchbox and some spoilers for what's to come. Info card with some details on each item, excluding the eyeliner. They also don't mention the moisturizer, so it's a bonus sample. I got this free with my first box, which was pretty amazing. I swatched it (which I'll post below) and it looks great. It's a strong black line and didn't smudge after it dried. And it was a little hard to wash off, which is a good thing for eyeliner. I also love that on the Birchbox listing it suggests that newbies (like myself) put dots along their eyelid and connect them. That is such an awesome tip and I don't know why I never thought of that! I like that it's fat, because it's easier to hold that way! Mine doesn't have a size that I can see, but it looks to be about full size which is 0.12oz. This is just a small sample bottle, but it's super cute. I wish it was bigger, but I'll use it all for sure. Mine is 0.75oz and retail is 10oz. 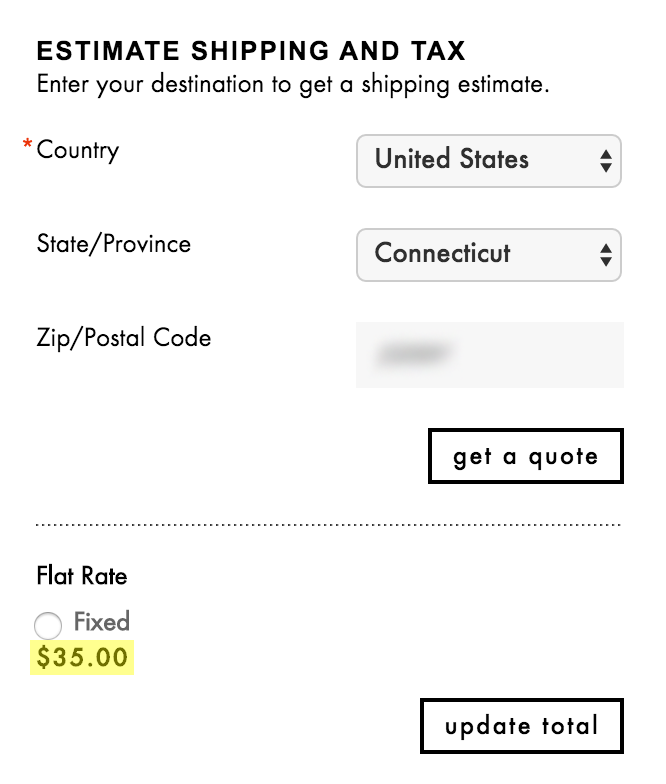 Birchbox has it for $24 plus free shipping and since the flat rate they calculated my shipping for on the amika website was $35 I think I'd buy it from Birchbox! The next item was this gel brow pencil. It's nice, and glides on really smoothly. My eyebrows are a mess and I need to do something about them. Maybe this will be incentive? The Milk Makeup website has shipping and Birchbox doesn't, and they're both the same price so I would buy this from Birchbox for sure. Shipping was $8 on the Milk site. The full size comes with a brush on the end too which is pretty cool and convenient. Mine doesn't have size information, the retail is 0.042oz. There was only enough for one use of the moisturizer. I liked it, but it left a residue on my face that I wasn't too keen on. I haven't had a chance to use the cleanser but I like that it's a bigger sample. The moisturizer was 0.1oz and the cleanser is 0.5oz. Retail they are 4oz and 8oz respectively. Note that the links for the above are the Malin + Goetz website, then the moisturizer on Birchbox and the cleanser on Birchbox, since there is no shipping on Birchbox and a $7 minimum shipping on the company site I'm giving you the Birchbox links. Much better deal. I got this in red, and I wish I'd gotten the pink they show on their website. Maybe then I'd actually use it. The problem is that this is far too dark for me. The color is amazing, I swatched it on my arm and it's still there two days later! It won't come off. Okay maybe if I used makeup remover it would come off, but I just scrubbed with soap and water. The smell is amazing though, I really wish this was my color. It doesn't feel bad either, I put it on and it's a matte finish, but not drying. 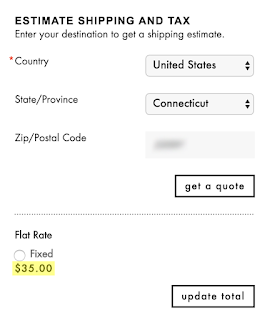 I just The company's website says it's out of stock, so I don't know if it's free shipping or not. Probably not. So I linked their website under their name above and the Birchbox one under the item name. This looks like it could be a full size item, but I'm not sure. I didn't like this. I really wanted to, because my acne is annoying, but I didn't. It is possible that it was user error, so I will try this again. The problem is that you're supposed to put this on and leave it on for 8 hours but mine fell off within minutes. I would like to say it's because I was eating, and it was on my face, but in order to keep this on for 8 hours I would do it overnight and that wouldn't be any different than eating. Hell, it would be worse! So, I'll try it again but I'm not feeling this. I got half of a travel size which is $12 but you can buy the full size package on their website and on Birchbox (linked above) for $30 for 72. Not bad for a $10 box! I liked most of what I got and I'll use a lot of what I got. This is a pretty good first box to be honest. I like Ipsy and I'm glad I took the plunge and got this too. *Depending on what size acne dot you choose. And as promised: the swatches. Do you have a Birchbox subscription? Do you like it? What did you get this month? Let me know in the comments below! Welcome to your subscription box addiction...I had to break mine for a bit , but I'm slowly creeping back...Ipsy, BeautyFIX, Popsugar...it never ends...:) But it's fun and we deserve it! Great review - you got some good stuff! It's always been hit or miss for me but I did discover my favorite conditioner ever - Davines Oi! I think I did get some good stuff, especially the eyeliner. I've given myself a rule, I have to stay at $10 or less for each subscription. So far it's working, haha.